My new Gift-n-Store pattern is here! 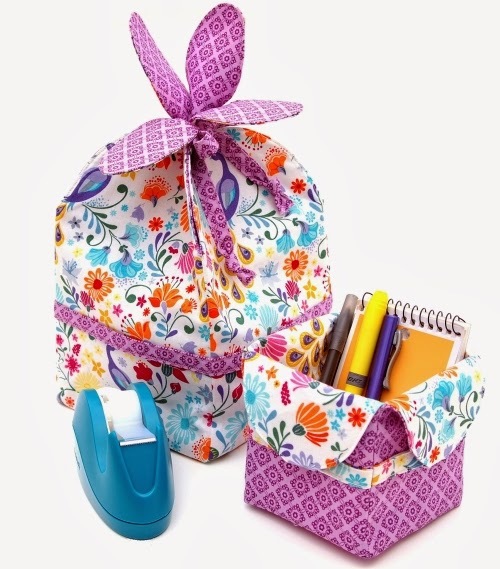 The Gift-n-Store is a fabric gift box that converts into a cute storage bin. Don't you love it when the package is part of the gift? The pattern includes 2 sizes. The small box is 4" wide by 4" tall, not including the top flaps. The large is 6" wide by 6" tall without the flap. 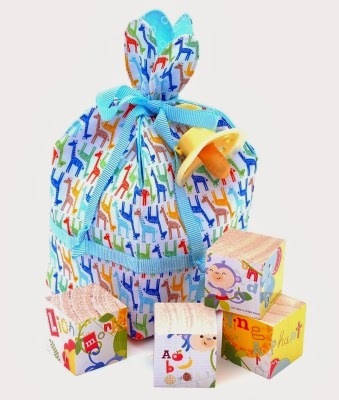 This small sized baby gift box will be perfect for storing little items on the changing table. I'll be using the large Christmas box to hold our Holiday CD's on the coffee table this year. 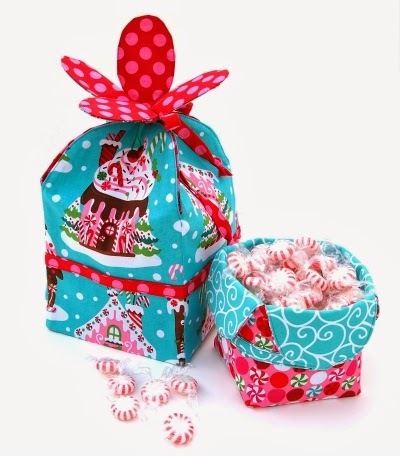 The small size makes a cute candy dish or a great place to store Christmas cards. Either size is great for holding sewing tools in your craft area, too. Head over to Siestas and Sewing to see what Cindy packed in the large size for a baby shower. So cute! Oh! And I almost forgot to show you. 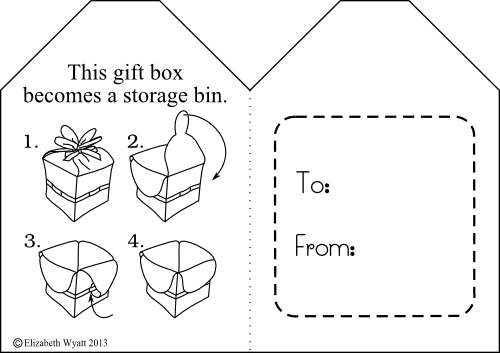 I've also included printable gift tags that have instructions for the recipient on how to convert the gift box to a storage bin. 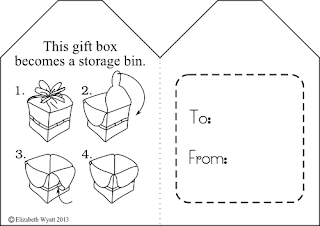 Just print on card stock, fold in half along the dotted line, and punch a hole to string onto the tie. I made the tag rather plain so it be good for all occasions. Of course, you can print it on colored card stock and embellish it will rubber stamps. I'm sure you'll think of lots of ways to pretty them up!